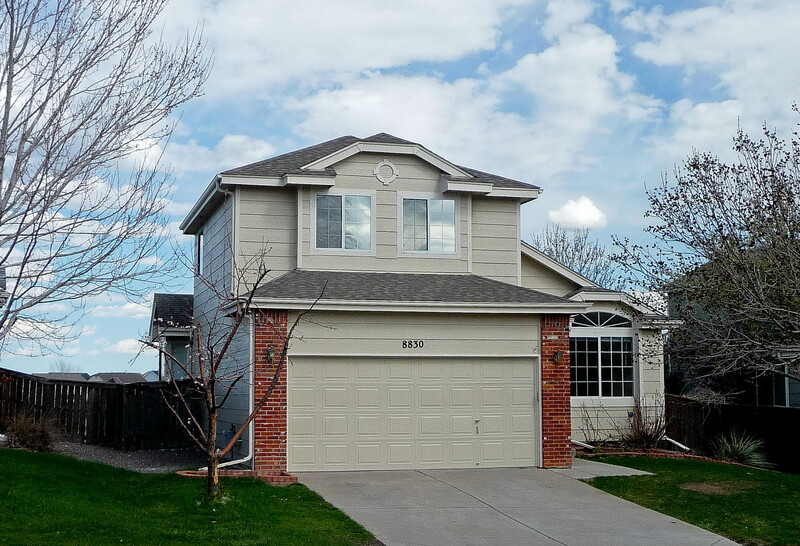 Offering 4 bedrooms, 3 baths, and 2309 square feet in the desirable Northridge Highlands Ranch community, this 2 story executive home is built for entertaining. The kitchen offers hardwood floors, newer Samsung appliances, and a sunny breakfast nook. The vaulted family room is spacious with handsome brick fireplace and 2 massive skylights. The vaulted main floor master has a 5 piece bath with large jetted tub and walk-in closet. The unfinished basement is great for storage or set it up as a rec room. The yard is tidy and manageable and features a nice wood deck for relaxing and looking out over the open space. Pets are O.K. Security Deposit is $2200. Highly rated Douglas County Schools; Highlands Ranch High School, Cresthill Jr. High, and Cougar Run Elementary. Full access to all the great Highlands Ranch pools and amenities.